With offices located in Chesterfield Township on 23 Mile Road, just 1/2 mile East of I-94, and in Macomb Township on Hall Rd (M-59), just 1/4 mile East of Romeo Plank Road, Kenwood Allergy and Asthma Center, P.C. 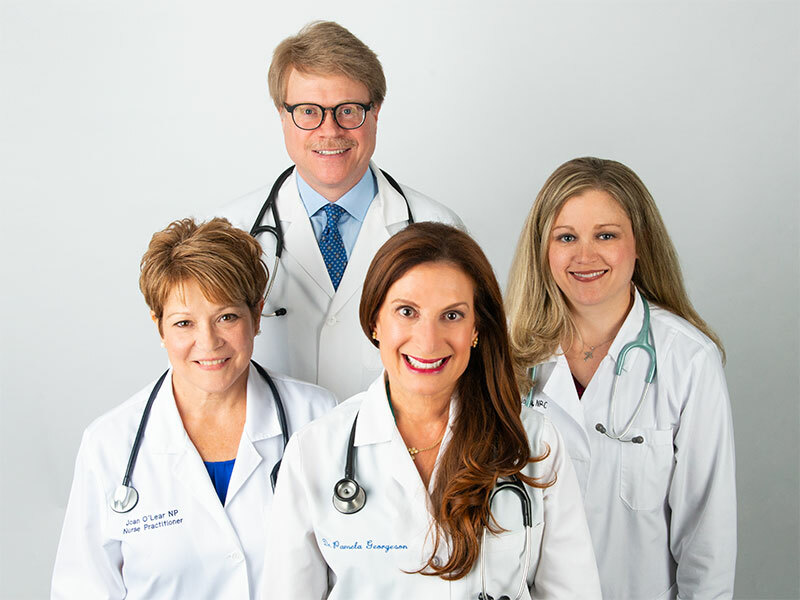 is the product and vision of Dr. Pamela A. Georgeson, a well-known and respected board-certified allergist for over two decades in Metropolitan Detroit. With her ongoing commitment to quality, timely, and compassionate health care, Dr. Georgeson has built a solid reputation as a physician and educator in our community and works by the philosophy of treating the whole person, rather than just their symptoms. Dr. Georgeson chose this name in honor and memory of her late father, Dr. Peter E. Georgeson. Dr. Peter Georgeson was Dr. Pamela’s mentor and major supporter of her career in medicine. It was his dream to help his daughter have her own practice. He was a well-loved and respected family physician in Northwest Detroit for over 40 years. The name of his practice was Kenwood Medical Center, thus the name “Kenwood” was used for Dr. Pamela’s practice.